Jeff Reiter's newspaper column about birds, birding and birders, appearing in the Daily Herald (west suburban Chicago). Hatched in 2004! It’s about a 20-minute walk from the Chicago train station to my office. Over the years, I’ve seen some great birds during that walk, including my first blue-winged warbler. I’ve also seen some surprising things on the sidewalk. Severed heads, for instance. Bird heads. One belonged to a red-headed woodpecker, the other to a northern flicker. The butchery was likely committed by a peregrine falcon. Another interesting sidewalk birding experience took place in September. Walking east along Wacker Drive I noticed what looked like a leaf floating toward the ground ahead of me. It landed softly, and a few steps later I was looking down at a male red-breasted nuthatch—the first one I’d ever encountered downtown. The tiny bird had smacked into a building but was still alive. I picked him up and he seemed to be in good shape, just stunned. Sometimes a safe, quiet spot is enough to help a bird recover, so I placed the bird under some nearby shrubs. He was gone when I checked at the end of the day. The red-breasted nuthatch has always been one of my favorite backyard visitors, so it was a thrill to hold that bird in my hand. What a beautiful and virtually weightless little creature. Nuthatches are a joy to watch, and watching them became a whole lot easier once I bought a peanut feeder. In recent years I’ve had one or two coming and going almost daily from October into April. The birds enjoy black oil sunflower seeds and suet as well, but it’s the shelled peanuts that really keep them coming back. Plus, the peanut feeder is great for watching nuthatches eat upside down, one of their many quirky habits. Chickadees, downy woodpeckers and red-bellied woodpeckers use the feeder, too. There are two species of nuthatches in this area, red-breasted and white-breasted. Generally speaking, white-breasteds are more common. They are year-round residents, whereas red-breasteds arrive here after spending spring and summer further north. A friend of mine who lives close by has white-breasted nuthatches in her backyard all the time, but she never sees red-breasted. In my yard the opposite is true. A lot depends on habitat—white-breasted nuthatches tend to prefer big trees, especially oaks. Once, and only once, I had both species converge on my peanut feeder at the same time. Next to the red-breasted, the more robust white-breasted looked huge. But consider this: the combined weight of the two birds was about one ounce! Like chickadees, nuthatches can be very trusting. One time, a red-breasted landed on my peanut feeder just as I was about to hang it up. I froze and was able to watch the bird 12 inches from my face for a few precious seconds. With patience, nuthatches will even take food from your hand. I hope to experience that some day. For now, I’m happy to watch them at any distance. 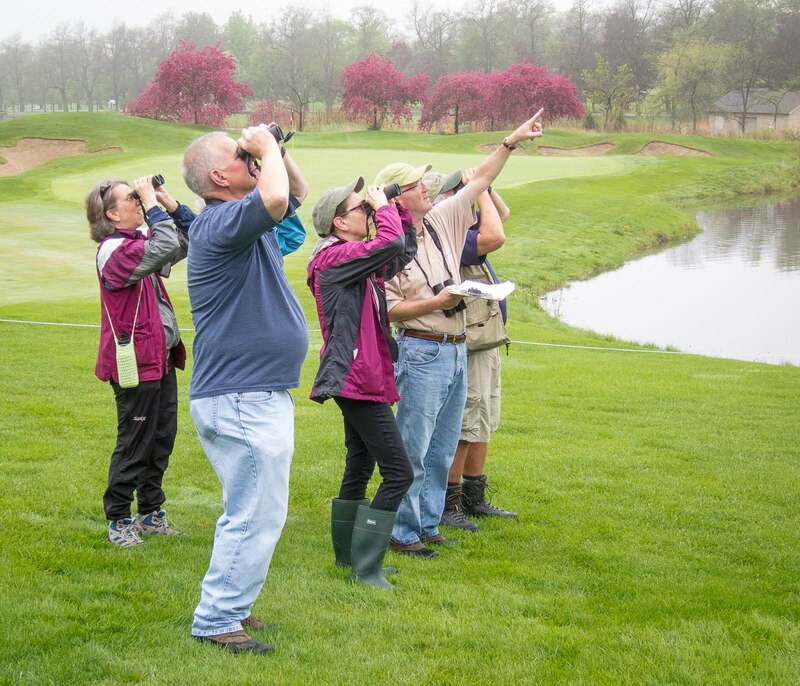 Reiter is a Glen Ellyn, Illinois, resident who became hooked on birding about 10 years ago. He can be reached at jreiter@wordsonbirds.com. Click on Jeff's photo to read his profile on Birding is Fun.